THE Philippines secured another gold medal from jiu-jitsu courtesy of Annie Ramirez in the Asian Beach Games. Ramirez defeated Deepudsa Siramol, 10-0, to rule the women’s -55kg division for her second jiu-jitsu gold medal in the biennial meet. Ramirez mirrored her gold-medal feat two years ago when she bagged the -60kg division in Phuket, Thailand as she followed compatriot Meggie Ochoa's first-place finish on Sunday in the same sport. Ramirez began her campaign with a victory over Angelina Flippova of Turkmenistan in the quarterfinals before downing Lea Farhat of Lebanon. The Philippines added two bronze medals to its collection which now stands at nine after Jenina Napolis placed third in the same weight division as Ramirez in jiu-jitsu and Apryl Eppinger, a former member of the national cycling team, finished third in the women’s -62kg class. 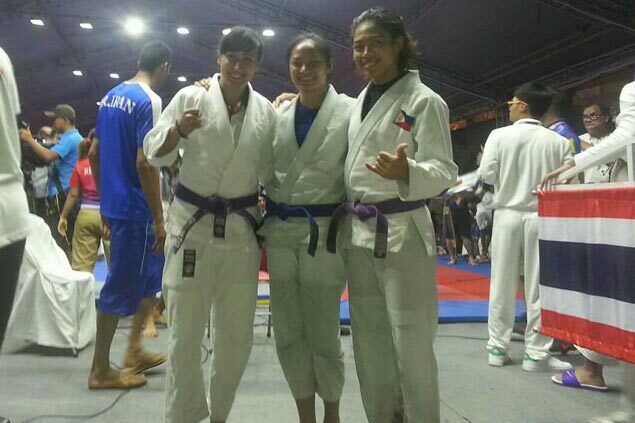 Lloyd Dennis Catipon, Helen Dawa, and Jenielou Mosqueda claimed bronze in kurash, as did the beach sepak takraw women’s trio of Josefina Maat, Gelyn Evora, and Deseree Autor.